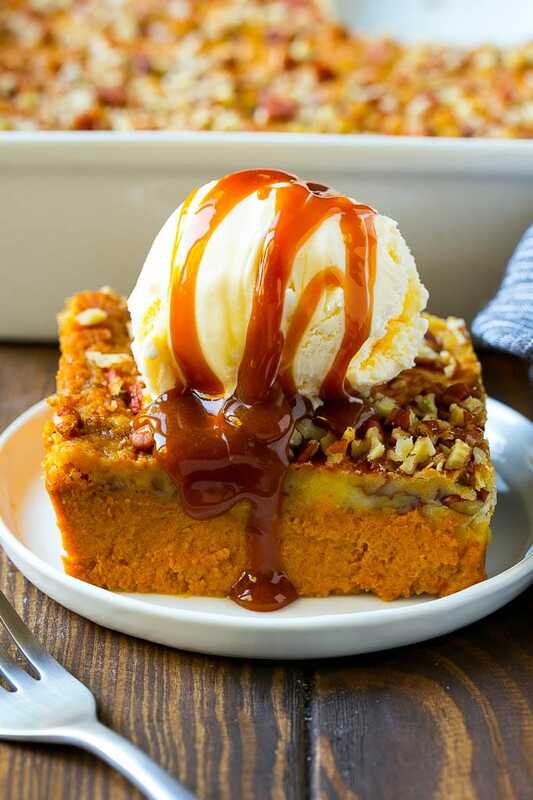 This pumpkin dump cake is a creamy pumpkin pie filling topped with a decadent pecan butter cake. Serve with ice cream on top for the perfect end to any fall dinner or holiday meal. I can’t get enough pumpkin this time of the year, some of my favorites include pumpkin gooey butter cake and pumpkin chocolate chip cookies. 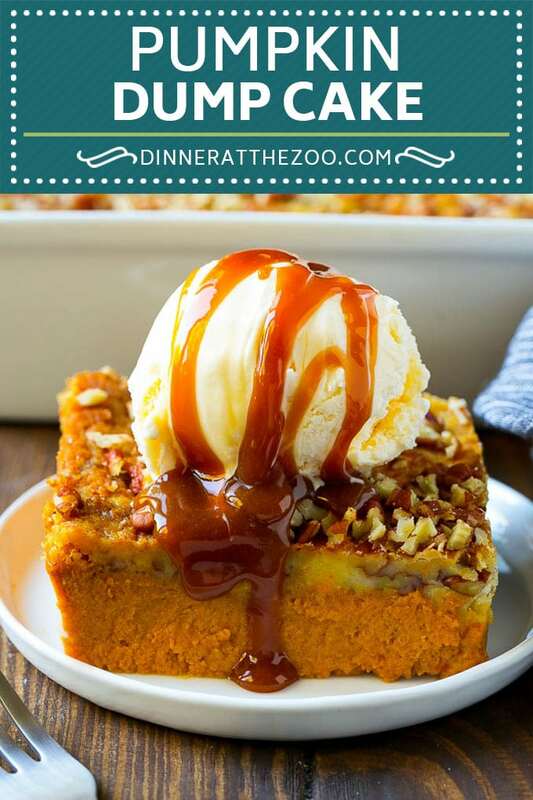 This pumpkin dump cake is so very easy to make, and with just minutes of prep you end up with an amazing two layered dessert that’s perfect for feeding a crowd. When I think fall, I think pumpkin. There are so many amazing treats to be had! 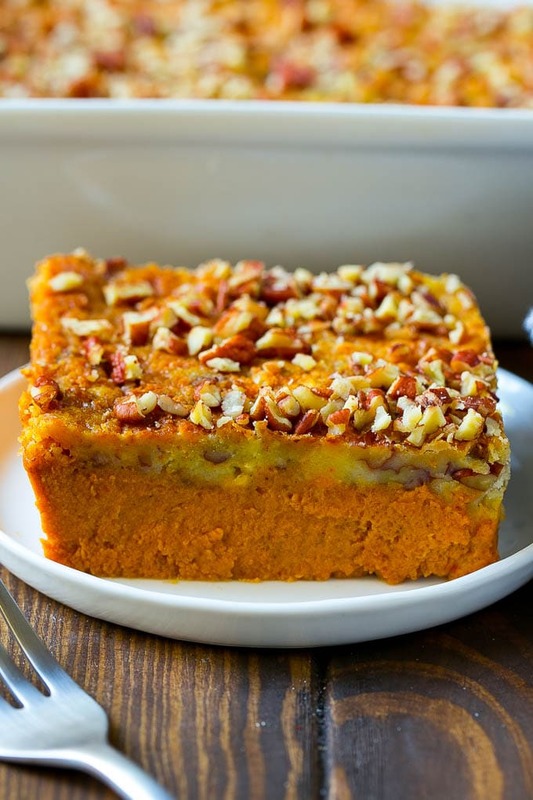 This pumpkin dump cake happens to be super easy to make, but looks really impressive because it bakes up into a layered dessert with tons of flavor and texture. This cake starts with a pumpkin pie style filling which is made from pumpkin puree, sugar, eggs and evaporated milk. The pumpkin mixture goes into the bottom of the pan and a layer of powdered cake mix goes on top. The finishing steps are sliced butter and chopped pecans – no mixing required! Bake it all up and you’ve got a delicious fall treat. A dump cake is a dessert where ingredients are layered in a pan and baked – literally everything is just dumped into the pan. 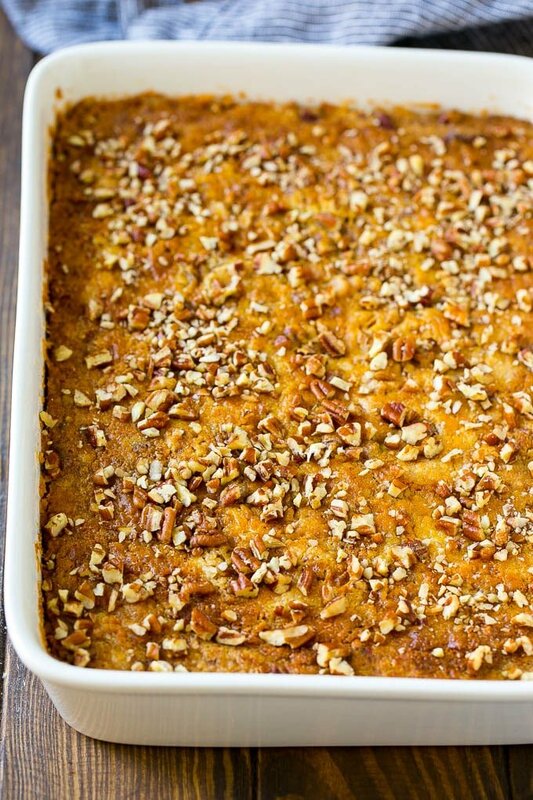 This pumpkin dump cake does use one bowl to mix together the filling, but it’s totally worth the extra dirty dish to take that step. 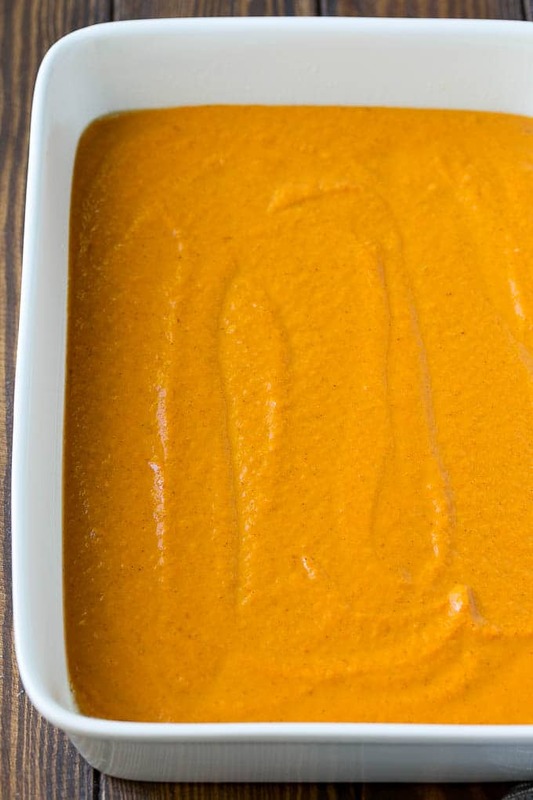 Be sure to use canned pumpkin puree, NOT pie filling. This recipe calls for yellow cake mix, but spice cake mix is also a great option. Not a fan of pecans? Try walnuts or almonds, or leave the nuts out entirely. This cake can be served warm, cold or at room temperature. To get neat slices, you’ll want to chill it before cutting. Otherwise just use a big serving spoon and scoop it onto plates. Make sure that the butter is sliced thin so that you can cover the entire surface area of the pan with butter. If you’re a major pecan fan, you can add a sprinkle over the top for garnish before you serve your pumpkin dump cake. While this cake is perfectly delicious on its own, it’s even better when served with a scoop of vanilla ice cream and a drizzle of caramel sauce. I am not the biggest fan of pumpkin pie, so I often serve pumpkin dump cake instead for Thanksgiving. I think this cake is much easier to make than pie, which is also a bonus. 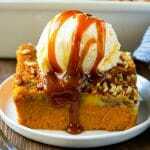 As soon as the calendar hits September, I stock up on pumpkin puree so that we can enjoy this pumpkin dump cake for the colder months to come. It’s always a huge hit! Place the pumpkin puree, evaporated milk, brown sugar, eggs, pumpkin pie spice and vanilla extract in a bowl. Stir until smooth. Pour the pumpkin mixture into the prepared pan. Place the cake mix and 1 cup of pecans in a bowl; stir to combine. Sprinkle the cake mix over the pumpkin layer. 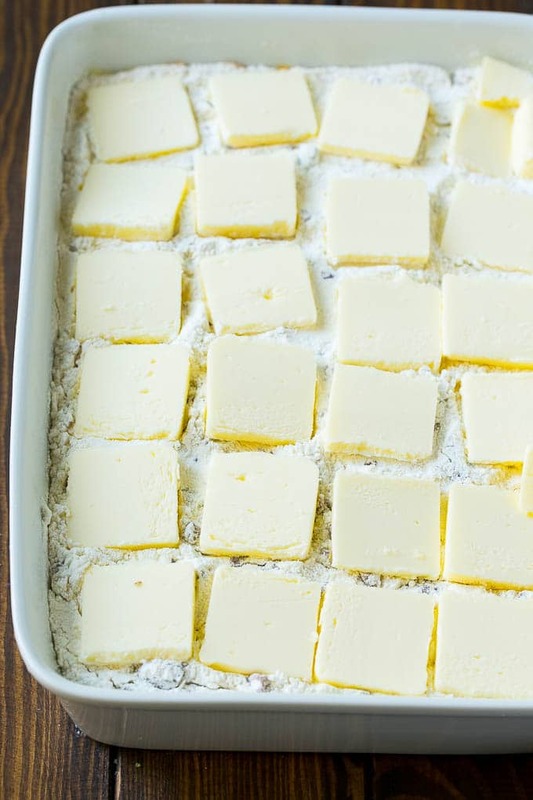 Place slices of butter all over the cake mix layer. Sprinkle the remaining pecans over the top. Bake for 45 minutes or until golden brown and set. Let cool for at least 15 minutes, then serve. Top with ice cream and caramel sauce if desired. I am baking this today and realized I bought pumpkin pie mix by mistake😱How will it effect the finished product? I’ve never made it with the pumpkin pie mix, but mix usually has sweetener and spices added to it. So you’d want to omit the spices in the recipe and use less sugar, but I can’t exactly tell you how much sugar because I don’t know how sweet the pie mix will be. OMG! I must have this for my Thanksgiving dinner! I too, am not a fan of pumpkin pie, but my daughter loves it. I made this last year and it was a great compromise with everyone loving it especially my daughter and husband. These look so damn good ,I am all over pumpkin this month. So rich in flavour and perfect for fall. I have never heard of this recipe before but oh my goodness it looks bloody amazing! I am going to ask my partner if we can make it together next weekend – a great autumn treat! My mouth is watering. This looks SO good. I’m saving the recipe to try later. This looks so good. We are going to try to make this over the weekend. i’m not huge on pumpkin but i would give this a try. you make it look yummy! This sounds good! I’m not big on pumpkin, but I’d give it a try anyway. It would probably be really good with vegan ice cream. I have never tried to make a pumpkin recipe cake but this one looks really delicious and looks so easy to make. I will try to make this on this coming weekend and I am sure the whole gang would love it. This looks delicious! I usually do a pumpkin cheesecake for the holidays, but might have to give this a try instead! I so want three slices of this now please, look so delicious and very tasty. MM that sounds absolutely delicious! What lovely flavours. 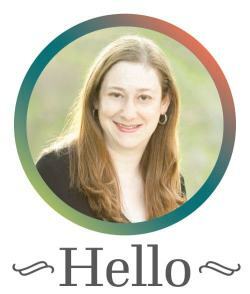 Thank you for sharing – I look forward to trying!